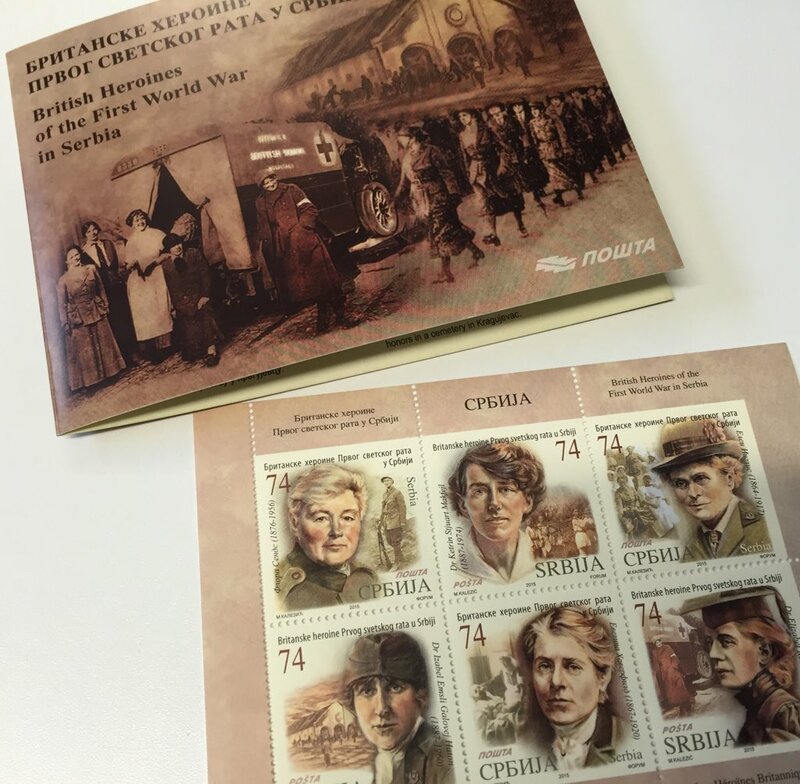 I was so excited to see these stamps announced on Twitter, especially when I saw on of the women featured was Dr Isabel Emslie Hutton, who I’ve been researching for a long time and who is a subject of the group biography project I’m working on now. I just had to get some for myself, so I enlisted the help of a Serbian publisher I work with in my day job, and she was kind enough to track them down. Ask and ye shall receive. There’s been a lot* of buzz in the media about the Scottish Women’s Hospitals because there’s an art exhibit in Edinburgh at the moment (which I’m really sad I won’t be able to go to – maybe it will come to London next! Ask and ye shall receive?). In the meantime, I’m having my own exhibit as part of the “gallery wall” I’ve just created on my stairwell. *by “a lot” I mean more than usual: it occasionally comes up in my saved searches on Twitter. Thanks so much for this. Can I ask the name of the six. I think I know most of them but would like to double check. 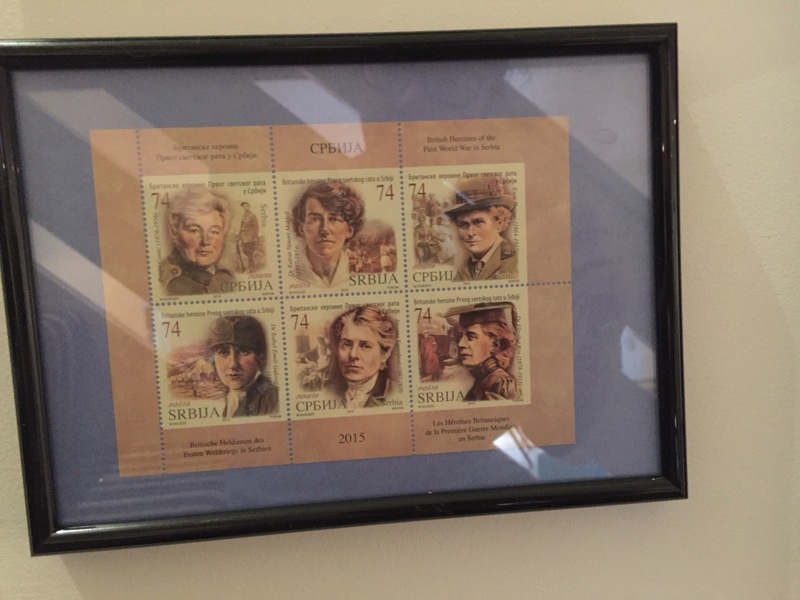 Evelina Haverfield, Elizabeth Ross, Elsie Inglis, Isabel Hutton, Katerine MacPhail and Flora Sandes. Here’s a link the the article: http://www.bbc.co.uk/news/uk-scotland-35039265 I just realised it’s not very obvious in the post!